(NAIA) is a sales representation program for a select group of discerning importer members. A nonprofit program, NAIA's mandate is to enhance the flow of quality merchandise to these regions allowing consumers to sample for themselves the different levels of quality among diverse cultures. For the past years, NAIA has successfully branched out to countries other than North America, accepting importer membership on a more global basis. We have prided ourselves in being a service organization both to its members internationally and to the distinguished overseas companies that it represents. Auto-matching with compatible, pre-qualified member suppliers. Assist in further sourcing if none is available. Co-ordinate & liaise in sampling & execution of orders. Act as mediator during unavoidable commercial disputes. Credit verification of member suppliers. Showcase your products on your private web page with us. 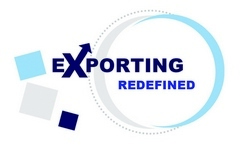 Get referred to the compatible member importers through us. Instant reply of any feedbacks. Helps you track down results. Assist in certificate application in USA. Distinguished Supplier - Uni-President Enterprises Corp. Distinguished Supplier - Tri Ocean Textiles Co., Ltd. Distinguished Supplier - TECO ELECTRO DEVICES CO., LTD. Distinguished Supplier - ECOWAY TECHNOLOGY CO., LTD.